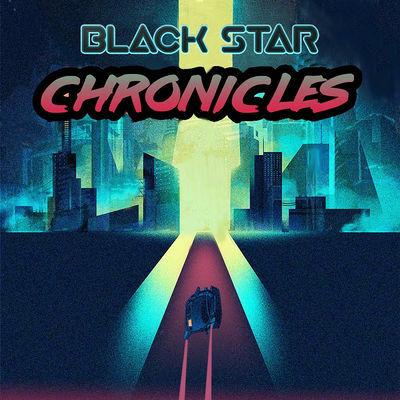 On this bonus episode Porcelain Peak presents a special presentation of the Black Star Chronicles. This is a sci-fi audio drama like nothing else out there. Have a listen to Part 1 below. Head over to the Black Star podcast to get new episodes as they become available. For the full main storyline of Black Star head over to Amazon and get the full audio drama. An auditory experience like no other. In a setting without limits, Black Star feels both massive and personal. It combines a love for science fiction with the desire to explore the final frontier. As a journey through the stars unwinds, so too does the journey within the characters themselves. As Sebastian, played by the charismatic Tanner Honor, crash-lands on an unknown moon, he soon discovers what drew him to there: a being far beyond his recognition. Sebastian finds himself encompassed by the ability to create and manipulate black holes. What happens next? You'll have to listen and find out. Join Sebastian on his journey through an assortment of planets, aliens, assassins, and excitement as he navigates the vastness of space and the vulnerability of himself. Tanner is joined by a cast of over two dozen fantastic actors and actresses. And this fully produced audio drama has it all. From a full array of sound design to original music, Black Star puts you in the pilot's seat of The Lightrunner, hits warp speed, and lets you feel and hear more than imaginable. Part Indiana Jones, part Star Wars, even part Alien, and packed with heart, triumph, and originality, Black Star is more than an audio drama - it's an audio odyssey.